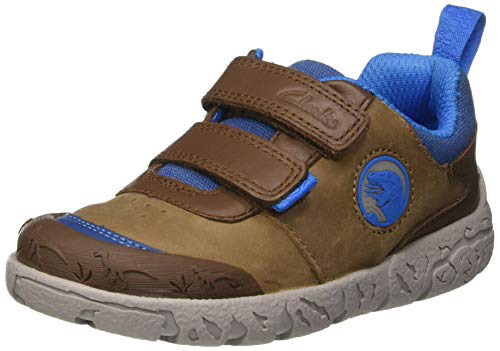 Clarks Bronto Glow – kids will love these boy’s Clarks BrontoGlow everyday casual shoes in soft leather with dinosaur detailing for added fun. 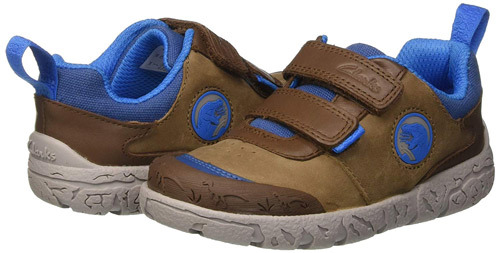 Two riptape straps secure the shoes while a durable rubber outsole and toe bumper protect active feet. 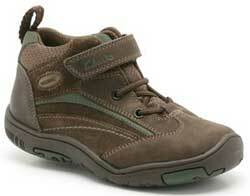 Padded collars add comfort, while natural Agion linings help to fight bacteria and keep feet fresh.